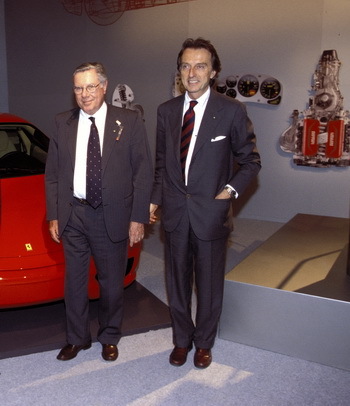 "An exceptional person," Luca di Montezemolo said, "who connected his name indissolubly with our history and our success. Sergio was one of the most important advocates of Made in Italy all over the world, a man, who gave Italy credibility and splendor." All GT serial models from Maranello, since the 1952 Ferrari 212 Inter Cabriolet, have been designed by Pininfarina in Turin, where Sergio became President in 1966 following his father Battista. With Sergio Pininfarina passing away on Monday night the Prancing Horse loses one of the men most closely connected to Ferrari. "An exceptional person," Luca di Montezemolo said, "who connected his name indissolubly with our history and our success. Sergio was one of the most important advocates of Made in Italy all over the world, a man, who gave Italy credibility and splendor. "An example not just of an entrepreneur, but also known for his civic duties, he spread with great passion for his country. He demonstrated it as President of Confindustria, Member of Parliament and Senator for life. Calling his relation with Ferrari legendary is insufficient. First with Enzo and then with me, he designed some of the most iconic models, such as the Testarossa or the Enzo, just to name two. I wish to remind you of the work we've done together for the Maserati Quattroporte, which remains one of the most beautiful cars ever built. He was a great advocate of Italian design, thanks to his sense for elegance. "He was part of Ferrari's board of administration for many years and I will always be profoundly connected to him, so much that I wanted to dedicate a model to him and his son Andrea: the SA Aperta." 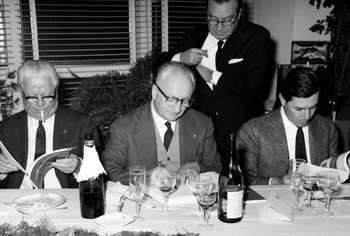 The unique collaboration between Ferrari and Pininfarina was always based on the common ground of research and development on the highest level, always producing the most innovative and elegant cars for over 60 years. Pininfarina was not only responsible for the serial cars - such as the 1958 250 GT Coupé, the 1968 365GTB4 "Daytona" or the 1984 Testarossa - but also for one-off models and such produced in limited editions, starting with the 375MM commissioned by Roberto Rossellini for Ingrid Bergman in 1954, up to the 2002 Enzo Ferrari.